Thirsty? If you’re in Downtown Eau Claire, you’re in the right place! You’ll find delicious drinks throughout Downtown. But, when you want something special, you want to go to the place that does that something special better than anyone else. At Visit Eau Claire, we want to make sure you get the best of the best, so here are some favorite (non-alcoholic) drinks at our favorite hot spots! 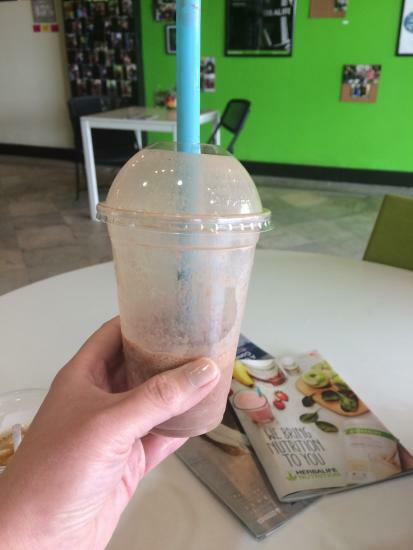 Crave 80/20 is Eau Claire’s go-to for healthy shakes for breakfast and lunch, or an energy-boosting snack. In addition to yummy shakes, they also offer nutrition coaching services and meal planning. The shakes have just 200 calories, and 24 grams of protein. I had the Peanut Butter Cup (#5 on the menu), it was delicious and so filling! With each shake order, Crave 80/20 patrons receive a shot of refreshing aloe juice (mine was enhanced with cranberry juice) and a hot or iced tea. If you’re looking for a more indulgent treat, visit Ramone’s for one of their malts! Made from Chocolate Shoppe Ice Cream, a Ramone’s malt harkens back to the days of old-fashioned ice cream shops and soda fountains. You’ll want to grab a special someone and two straws and share the malt, but they’re so good, I recommend keeping it all to yourself, at least that’s what I did with mine! 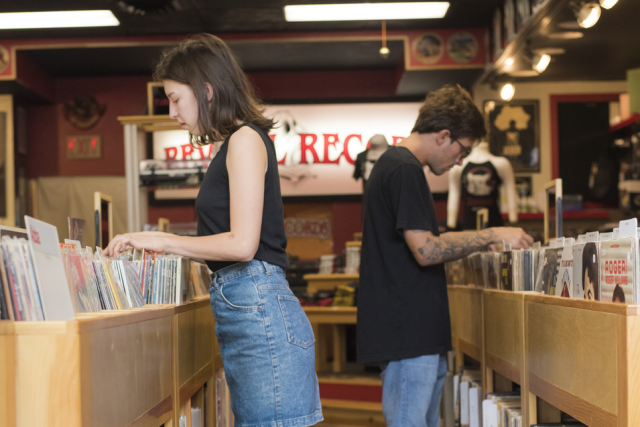 The District Company is Eau Claire’s all-ages destination for gaming. They recently added their Old School Pinball & Arcade with classic games and all day passes. If you’re going to play Pac Man or Mortal Kombat all day, you’re going to need to keep up your strength. Grab Gamergy, The District Company’s locally made energy drink. 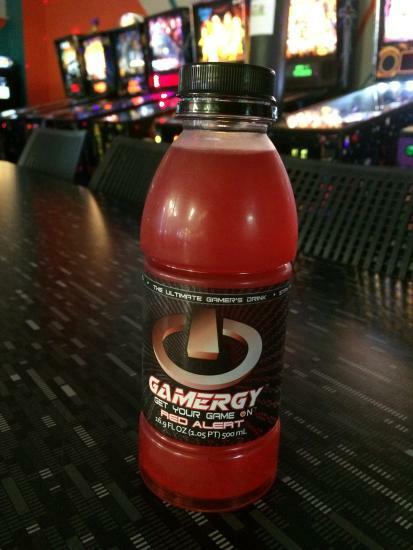 The ultimate gamer’s drink, Gamery is free of aspartame and caffeine and contains only 10 grams of sugar and 40 calories per bottle. They offer four varieties. During my visit, I tried Red Alert, a yummy fruit punch flavor. ECDC is a favorite cafe and bakery with a plethora of options for tasty snacks, sandwiches, and drinks. It’s one of those places where everything is good, but what they do the best is coffee! You might have tried a Flat White at a certain national coffee chain, but if you want it done right, get it at ECDC. A Flat White is a double espresso combined with milk that is micro-foamed. The texture is almost velvety, and the texture of the mixed milk and espresso is consistent throughout the drink, unlike a cappuccino or a latte, where the foam is on the top. At ECDC, a Flat White is even better when accompanied by a couple macaron cookies! Also known as bubble teas, boba teas often contain a mix of tea combined with fruit or milk, with tapioca balls (the bubble or boba) added. You can find boba teas in a few places in Eau Claire, but the best variety can be found at Rice Palace LLC, a Thai restaurant on Barstow Street. Some of the flavors they offer include Mango, Avocado, Coconut, Lychee and Passion Fruit. A boba tea will set you back just $3.75 and is a perfect accompaniment to your favorite Thai dish. So what’s your favorite thirst quencher in Downtown Eau Claire? Tell us on social media with #captureec!